Young Property Group is a Sunshine Coast based real estate agency founded around one simple mission. “To deliver results that exceed our client’s expectations”. • The ability to put a sale together at a price that you are happy with. Our aim is to give you the right advice so we can sell your property in the shortest time for a premium price. Greg was born in Bundaberg, Queensland and is the fourth generation of sugar industry pioneers and founders of the Fairymead Sugar Company later to become the cornerstone of the Bundaberg Sugar Company. Greg grew up in the historic Fairymead House built by Greg’s great grandfather Ernest. In 1988 the home was given to the City of Bundaberg as a bicentennial gift and is now located in the Bundaberg Botanic Gardens. Greg Young commenced his real estate career in 1982 by joining the Ray White office at Alexandra Headland. In 1985 Greg became a partner in the office and held the franchise for Ray White on the Central Sunshine Coast for 24 years. Ray White Commercial Sunshine Coast. Greg was awarded the “Auctioneer of Excellence” Award and the prestigious “Max White” Award from the Ray White Group. The latter is awarded to one person each year for their outstanding contribution to the Ray White Group. A licensed Auctioneer since 1984, Greg has called over 3,000 individual auctions. Greg also has an Associate Diploma of Business (Real Estate Valuation). 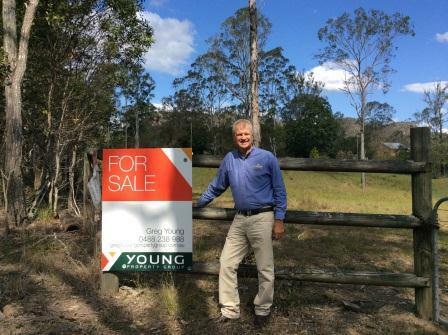 Today Greg runs Young Property Group a company that specialises in the marketing and sale of lifestyle, horse properties and farm properties throughout South East Queensland. In December 2014 Greg launched horseproperty.com.au a specialised website helping owners with horse properties to promote their properties to the equine community around Australia. Today horseproperty.com.au is the largest horse property website in the Southern Hemisphere and the second largest in the world with over 1200 agents registered from around Australia and 700 horse property listings. The Facebook site – Horse Property has over 33,000 people following it. In February 2016 Greg launched his second National website farmproperty.com.au. 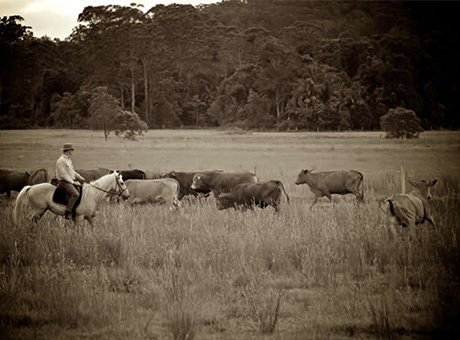 Today farmproperty.com.au is Australia’s premier farm property website with 1100 farm properties listed from across Australia. Young Property Group has its own digital marketing team headed up by Adam Young which can offer its clients the latest in leading edge digital marketing to promote any property to a targeted market anywhere in the world. Commerce Cup Australia – 2012.